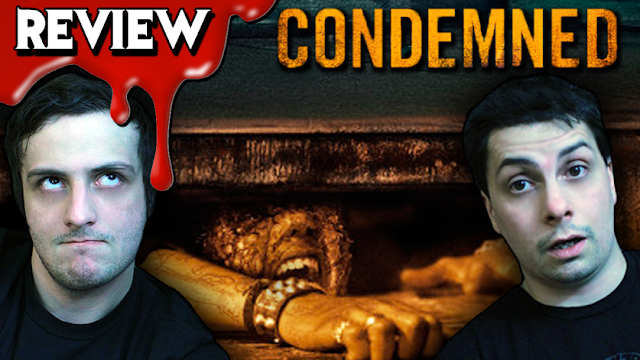 Danny Knightmare and Undead Jess review the pus-filled gorefest, Condemned (2015). Fed up with her parents' bickering, poor-little-rich-girl Maya (Dylan Penn) moves in with her boyfriend who is squatting in an old, condemned building on Manhattan's Lower East Side. With neighbors that are meth heads, junkies and degenerates, this depraved hellhole is even more toxic than it appears: After a virus born from their combined noxious waste and garbage infects the building's residents, one by one, they succumb to a terrifying pathogen that turns them into bloodthirsty, rampaging killers and transforms their building into a savage slaughterhouse. IF THIS SOUNDS LIKE YOUR KIND OF MOVIE, CHECK OUT THE LINKS BELOW!